Since the Surf Life Saving movement began in 1907, thousands of lifesavers have served our nation in active duty. The Fallen Lifesavers Memorial is a tribute to those Australian lifesavers who lost their lives at war and did not return home. The memorial was official unveiled on Sunday 27 April 2014 by The Hon Marie Bashir, Governor of NSW, The Hon Mike Baird, Premier of NSW and Councillor Scott Nash, Mayor of Randwick. Construction on the project started in October 2013 and was officially opened on 27 April 2014. Worrks include new sandstone seating and a landscaped terraced seating area at the southern end of Coogee Beach. The landscaping works create more usable public space at one of Sydney's prettiest and most popular beaches. Works also include a 2m high statue created by renowned artist and sculptor Alan Somerville. The second stage will be a memorial wall listing the names of all lifesavers who died serving Australia in war. This is due for completion in time for the Anzac centenary in 2015. You can view the concept plan prepared by landscape designers TBLD. Help us spread the word about the Memorial. There are tools in our resources library you can use to inform your members and local community. The Development (DA - 150/2013) for the project was on public exhibition from March 27 - April 12 2013 and was approved by Council on 14 May 2013. Extensive community consultation was carried out during the exhibition of the DA and in the 12 months leading up through this website. The Fallen Lifesavers Memorial is a collaboration between Randwick City Council, the NSW Government, the Australian Government, Surf Life Saving Australia and the Returned and Services League (RSL) of Australia. Hundreds braved the rain to be among the first to get a glimpse of the newest bronze Aussies watching over Coogee beach. The Fallen Lifesavers bronze statue, sculpted by Australian artist Alan Somerville, depicts a Digger in his iconic hat and a lifesaver with the traditional belt and reel that was formerly used as a rescue device. NSW Premier Mike Baird said lifesavers embody the greatest that Australia has to offer, while Army Chaplain Lieutenant Colonel Jim Cosgrove said the sculpture, with hands grasped in friendship, represented the kind of sacrifice that could inspire us to build a better world for futures to come. Wentworth MP Malcolm Turnbull, representing the Prime Minister of Australia, said the thread of service, of sacrifice, of love of others drove both the armed forces and the Australian lifesaving movement. “This Fallen Lifesavers Memorial celebrates the contribution that surf lifesavers have made to our nation. “The scultpture also reflects the common bond of commeraderie and mateship that is unique to our iconic organisations - the Australian servicemen and women and the Australian surf lifesaver. Randwick Mayor Scott Nash said the National Fallen Lifesavers Memorial recognised the significant contribution Australian surf lifesavers had made to our nation’s history. He said surf lifesavers not only served us in war, they also patrolled beaches in war zones and set up new clubs in places like Torokina Beach in the Solomon Islands, Jaffa, Syria, and Papua New Guinea and participated in carnivals and surf lifesaving displays in Palestine, Borneo, and Cornwall. “Coogee beach will now be a symbol of that contribution,” he said. The day kicked off with surf boats tearing up the waves off Coogee beach, delivering flags to surf lifesaving club members from Bondi, Bronte, Clovelly, Coogee, Manly, Maroubra, North Bondi, South Maroubra and Tamarama. Lifesavers from the clubs then marched the flags to the southern end of Coogee beach to the site of the Fallen Lifesavers Memorial. The unveiling honours yesterday went to NSW Governor Marie Bashir, Mr Baird and Cr Nash. Cr Nash described the work by Somerville, whose other public works include the two bronze soldiers on the Anzac Bridge, the bull at World Square, Sir Henry Parkes in Centennial Park, Sir Roden Cutler at Manly, and the three bronze sculptures at the Australian War Memorial, as “nothing short of perfect”. Matthew Waller, from Coogee Surf Life Saving Club, introduced the crowd to one of the fallen lifesavers. He read out a letter Flight Sergeant Clifton Wedd wrote to his mother while he was stationed in Darwin during the bombings in 1942. The crowd heard that before Sgt Wedd served his country in WWII he was Randwick Marist Boy, a champion swimmer and passionate Coogee surf lifesaver. “I certainly do not find the thought of death as a great terror that weighs on me” Mr Wedd wrote. “I feel rather that if I was killed it would be you, and those who love me, that would have the real burden to bear. And I am writing this letter to explain why, afer all, I do not think it should be regarded as such. We make the decision between life and death as if it were dates, but just as we sleep half of our lives, so when we are awake we know we are only half alive. Cr Nash said this memorial represented and honoured the legacy of Australian lifesavers, on our beaches, and on the many foreign shores they have served. National memorial unveiled to commemorate lifesavers who died making the ultimate sacrifice. THE memorial which honours the hundreds of Australian lifesavers which died in war, will be officially unveiled on April 27. A statue which symbolises the strength and heroism of the fallen soldiers, was airlifted into the memorial site last week. The memorial features a large sandstone and grass terraced seating area overlooking Coogee beach and the statue. The memorial was created by Alan Somerville, best known for his bronze sculpture of the WWI Anzac soldier on the Anzac Bridge. It will unveiled by the Governor of NSW, Her Excellency, Marie Bashir, NSW Premier Barry O’Farrell and Randwick Mayor Scott Nash. Randwick Mayor said the memorial was a way of remembering the lifesavers who made the ultimate sacrifice for their country. “What is fascinating to learn is that during the past century so many surf lifesavers from across the country enlisted themselves in war or armed conflict to protect Australia,’’ Cr Nash said. “The same reasons that drove them to become lifesavers also saw them sign up in their thousands to protect our nation. Alan Somerville, best known for his bronze sculpture of a WWI Anzac soldier on the Anzac Bridge, was given the task of creating the memorial. Mr Somerville said it was an honour to be chosen as the sculptor. “It’s a wonderful idea to commemorate the fallen lifesavers,’’ he said. Installation of the Fallen Lifesavers status by renowned sculptor Alan Somerville took place on Thursday 10 April 2014. Construction of a Memorial to Fallen Lifesavers, honouring Australian life savers killed at war, will begin at Coogee on Monday 28 October 2013.Construction of a Memorial to Fallen Lifesavers, honouring Australian life savers killed at war, will begin at Coogee on Monday 28 October 2013. This week, Randwick City Council has recommenced construction on a national memorial for fallen lifesavers at Coogee Beach - another step towards the highly anticipated official unveiling in late April. Alan Somerville, best known for his bronze sculpture of a WWI Anzac soldier on the Anzac Bridge, has been given the task of creating a memorial to Fallen Lifesavers, honouring Australian lifesavers killed at war. The memorial, consisting of a bronze sculpture featuring a lifesaver and a soldier, will overlook the southern part of Coogee beach. "It's a wonderful idea to commemorate the fallen lifesavers,'' he said. There are also future plans for a wall of remembrance listing the names of all fallen Australian lifesavers. Randwick Mayor Scott Nash said there were more than 20 surf life saving clubs in Australia at the outbreak of World War I. He said the memorial was a dignified place of reflection to honour fallen lifesavers from around the country. Work has begun on the construction of the Fallen Lifesavers Memorial at the southern end of Goldstein Reserve, Coogee Beach, to a mixed reception from local residents and businesses. The national memorial, which will honour Australian lifesavers killed in battle, was announced last December and will consist of an iconic bronze sculpture featuring a lifesaver and a soldier, landscaping, terrace seating and a wall of remembrance listing the names of all Australia’s fallen lifesavers. Internationally renowned sculptor Alan Somerville, best known for his two bronze statues of soldiers on the Anzac Bridge, has been enlisted to produce the sculpture. The project is being developed in two stages with final completion set for April 2014. Randwick Council says the aim of the project is to create a place of remembrance and reflection that recognises the contributions of surf lifesavers in war as a distinct group who rose from protecting beach-goers at home to fighting for Australia in wars throughout the world. While commemorating the 3,500 lifesavers who have died fighting for Australia must be commended, the project has also ruffled some local feathers, with the main grievances being the cost and timing of the project. Randwick City Council is spending $1 million on the development and this has prompted some members of the local community to question its value. According to the ‘Your Say Randwick’ website, opinion is divided over the need for the memorial, with 50 per cent of voters considering it to be very important, while 40.9 per cent think it is not important at all. It seems the main objections levelled at the scale of the investment have been that the money could have been better spent on maintaining the current facilities in and around the beach, in particular upgrading the public changing rooms and club house. Another objection is that there are already national memorials commemorating the war dead in Canberra and Martin Place, and that perhaps a smaller memorial plaque on the wall of the surf life saving club would have been more appropriate, less expensive and less disruptive. 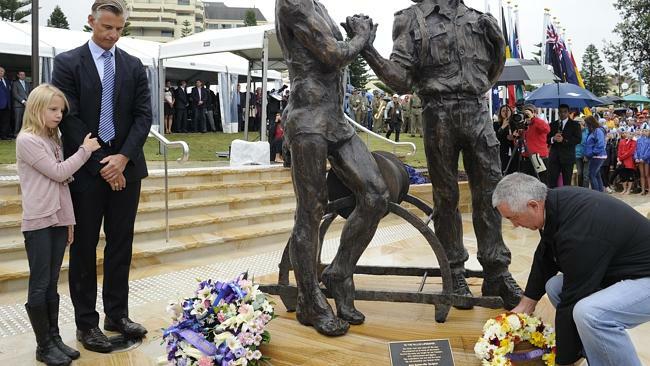 Despite the objections, a Randwick City Council spokesperson defended the memorial, saying the idea came from the Coogee Surf Life Saving Club, which approached the council directly. She added that the proposal also had backing from state and federal governments. “It’s common for sections of the community affected by war to have localised memorials to their members. Randwick City has a strong and proud surf life saving tradition and it’s appropriate that our community pays its respects to those lifesavers who have given the ultimate sacrifice,” the spokesperson said. “The works will result in a more usable public space for local residents and visitors to enjoy the beach, and construction has been planned in two stages in order to minimise disruption over the peak summer period,” she added, noting that work will cease from early December to early February. The council also reaffirmed its commitment to the upkeep of the local beaches and development of the surrounding area. “The council spends $5 million per year maintaining the local beaches, including providing full time professional lifeguards, cleaning, rubbish disposal and more,” the spokesperson said. She revealed that the council is also investigating design options for the Coogee Beach toilets, change rooms and bus shelter located on Arden Street, and recently called for ideas from the community to garner opinion on improvements for development. 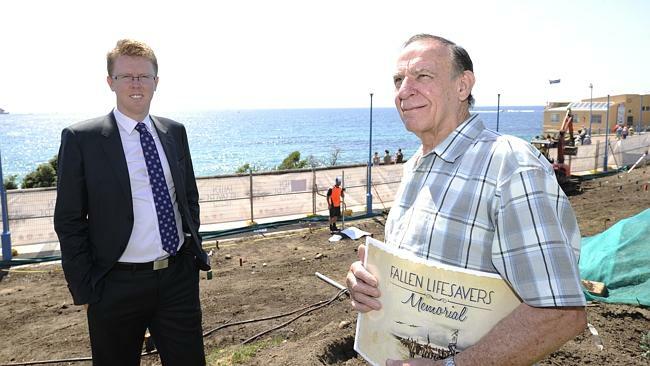 The Development Application for the Fallen Lifesavers Memorial Project was approved by Council on 14 May 2013. How did you find out about the Fallen Lifesavers Memorial?